Playing Anno 2205 for the first time can be a bit confusing. Even if you are familiar with other building simulation games, you might be confused by the different kind of resource chain, and how it all works. The following is a list of buildings and their functions that are particularly important at the beginning of the game. A great progress can be achieved with your group only by expanding your Orbital Spaceport. Once you reach a milestone, you can activate an upgrade and thereby get new challenges and opportunities. You are the one who is in charge for production in factories and on the other hand for the maintenance of all buildings. 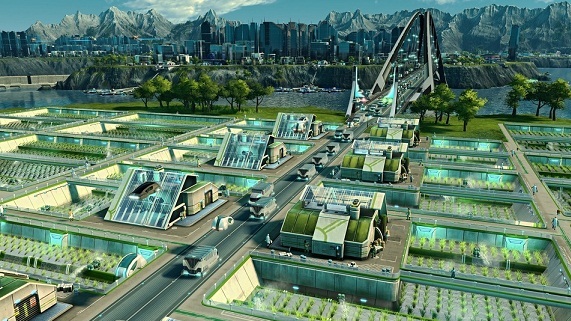 Therefore, you need workers to support you and they are a key resource in Anno 2205. This building represents your first food source. Workers and administrators consume rice. There are not enough food available, decreases the mood of the workers and they can not upgrade to the next level. In addition to solid foods your workers want to drink water. As the water from the ocean cannot be consumed unprocessed, you need a desalinization plant to satisfy the thirst of your workers. Your workers need to stay up to date. This enables them to pursue this need, you need to have enough information centers. Power plants such as the wind farm produce electrical energy. This is needed to supply your building with electricity. Like every building you need here manpower for maintenance. As the wind farm, also produces the tidal power plant electrical energy. This building can only be built on coastal areas. These buildings are important, so that you can build buildings, such as apartment buildings. In order to produce biopolymer needed sunflower oil. This is made here. To ensure that all raw materials can be passed on after their production to the right building, you need a functioning infrastructure. This is caused by the construction of transport centers. Too little transportation hubs decreases the production rate of the factories.